Is Title Insurance Transferrable After Buying It? No, title insurance is not transferable because it serves as a lifetime guarantee to a legal title, unless that title changes. Since you paid in full for the title insurance during closing costs, it remains yours and is not transferable – not to your spouse, significant other or whomever. If you’re frustrated and upset about this news, it’s important to remember what it is and why it is set up so that title insurance policies cannot be transferred. 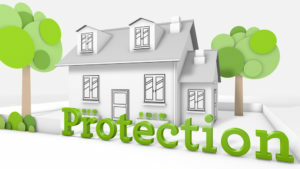 Title insurance is a one time purchase that protects your ownership over a property from past liens and new claims. 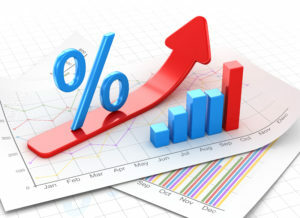 That is why it can also only be purchased during the closing meeting of a home transfer from a title insurance company. Can I Add My Spouse to an Existing Policy? Yes, you can add a spouse or a dependent onto an existing title insurance policy. If you add a spouse or an heir onto an existing policy, the policy will not change and your property will remain covered. Along the same lines, you and your heirs will always be protected from everything listed under that policy — even if you do not inhabit the property at a later point. Also, removing someone from a policy will not affect your coverage at all. Will My Heirs or Dependents Inherent My Title Insurance Policy? Title insurance can be inherited along with a property, but it cannot be gifted. If the owner of the property dies, the title insurance will continue as is for any heirs or legal beneficiaries of the property. But title insurance is not automatically transferred with a title if gifted or sold to a family member. This means the title policy only terminates once the legal title transfers to a new owner. In What Situations Will I Require New Title Insurance? One of the only few instances title insurance may need to be tweaked is if you place a quitclaim on a residence for an LLC you do not fully own. In that case, the policy may need to be updated or a new one purchased. In most cases, title insurance remains pretty inflexible to provide maximum protection under the law against any claims associated with the property. You find a house, make an offer, get to closing and pop the champagne. Next week you find out the house is no longer yours. This happens more than you think. Below you’ll find 7 examples of how this could happen and the best way to protect yourself from losing your home. Do I Need Title Insurance When Paying Cash For a Home? No, but it is a wise idea. When you pay cash for a home, you may think it’s permanently yours and no one can take it. However, if there’s a problem with the title it can threaten your ownership rights. That’s why banks normally require a lender’s policy when you take out a mortgage to pay. When it’s just you and you’re using cash, you’re the one taking on the liability and that is why having an owner’s policy is a smart idea. But what is the likelihood something could happen? Here’s some examples. If a past owner used a fictitious name or forged a notarization on a document during a previous closing, it can break the chain of title and affect all of the transactions that happen afterward. Your title company will do their best to detect forgeries while researching records and the property’s history, but there is also room for error, especially when someone lied about who they were or a name was signed incorrectly in the early or mid 1900’s. There is a lot of room for error. You also have liens. If a person claims and can prove that a previous owner owed them money or a debt, you may end up losing your home, or the land it is on. This doesn’t have to be recent, it could be 5 years ago or even dating back decades. Was the home built or owned by someone pre-stock market crash in the 20’s? What about the .com bubble burst? Either of these could have caused the previous owner to have a debt that could come back to haunt you. That is something your title company may not be able to find. A third example which should hit close to home for many of us are clerical errors. Have you ever called to have something refilled at a pharmacy and the person was swamped and mistyped your name and couldn’t find you? Maybe you needed a record looked up and the person couldn’t hear exactly what you said and asked you to repeat yourself two or three times. It could even be that someone misspelled your last name, and it now becomes a hassle for you to get it changed even though it was that company’s employee that made the mistake? The same thing that happens then could cost you your home. You are probably not the first person to own the property, and with it transferring ownership multiple times and numerous employees re-entering transactional data, there’s a good chance there could be clerical errors. These errors whether they’re filing or getting the name wrong because the person was working late one night are costly. And because you paid cash, they are your financial burden to fix. Even if you paid cash for your home, it can be taken away like in the examples above. Defending it can be incredibly costly with legal fees and that is why it is recommended you buy a title insurance policy, especially in cash deals. If you’re buying a home with a mortgage or you’re refinancing your loan, you’re likely going to need information or documents from the federal government. But what happens when workers are furloughed during a shutdown? If it lasts for more than a few days, it can affect the home buying process and delay your closing. Not only does this cost you time and stress, but possibly money too you have contingencies in your purchase agreement. The good news is that you don’t have to let the shutdown affect your home buying process. 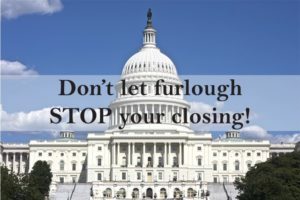 Below are some ways a furlough can affect your mortgage approval and what you can do to work around some of the more common problems so that your home closing can be fast and less stressful.